India has already qualified for the Asian cup 2019 so there is no pressure on our boys as far as qualification is concerned rather India will play today to end their 2017 campaign unbeaten. 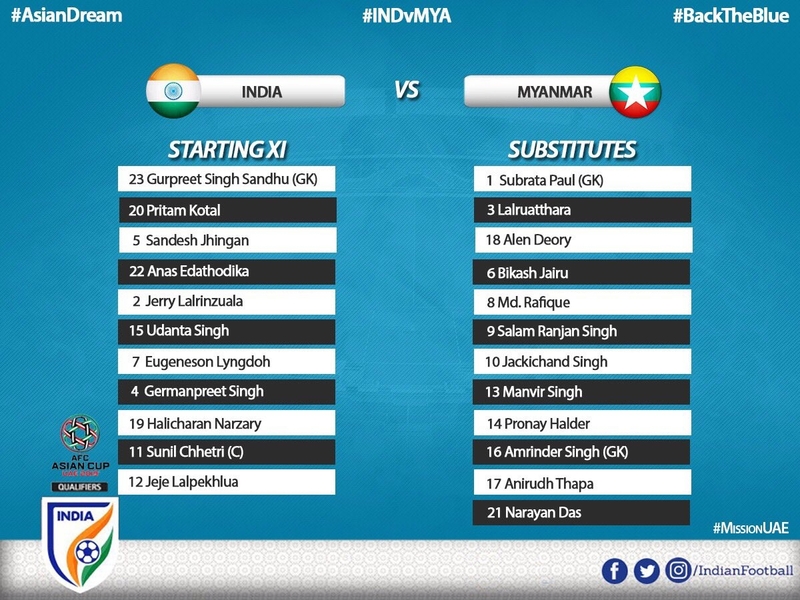 On the other hand this is a crucial match for Myanmar. Hopefully we will see some good football from both the side. How crucial is this to Myanmar? Do they also have a chance? @Deb_Ban , second place in group is up for grabs , Kyrgyz and Myanmar are equal on points after 3 matches. So reality check has started in the first minute itself. Even though down by a goal in the first minute We are playing as if 2 -0 up . May be players doesn't want to get injured before ISL begin.